What Was the Main Goal of Wollstonecraft's Advocacy? What Was the Main Goal of Mary Wollstonecraft's Advocacy? The Argument Made in the "Vindication of the Rights of Woman"
Mary Wollstonecraft is sometimes called the "mother of feminism," as her main goal was to see women gain access to segments of society largely off-limits to them in the 18th century. Her body of work is primarily concerned with women's rights. In her 1792 book, "A Vindication of the Rights of Woman," now considered a classic of feminist history and feminist theory, Wollstonecraft argued primarily for the right of women to be educated. She believed that through education would come emancipation. Mary Wollstonecraft accepted that women's sphere is in the home, a common belief during her time, but she did not isolate the home from public life as many others had. She thought public life and domestic life were not separate but connected. The home was important to Wollstonecraft because it forms a foundation for social life and public life. She argued that the state, or the public life, enhances and serves both individuals and families. In this context, she wrote that men and women have duties to both the family and the state. Mary Wollstonecraft also argued for the right of women to be educated, since they were primarily responsible for the education of the young. Before the "Vindication of the Rights of Man," Wollstonecraft mostly wrote about the education of children. In "Vindication," though, she frames this responsibility as a primary role for women, distinct from men. Wollstonecraft went on to argue that educating women would strengthen the marital relationship. A stable marriage, she believed, is a partnership between a husband and a wife. A woman, thus, needs to have the knowledge and reasoning skills that her husband does to maintain the partnership. A stable marriage also provides for the proper education of children. 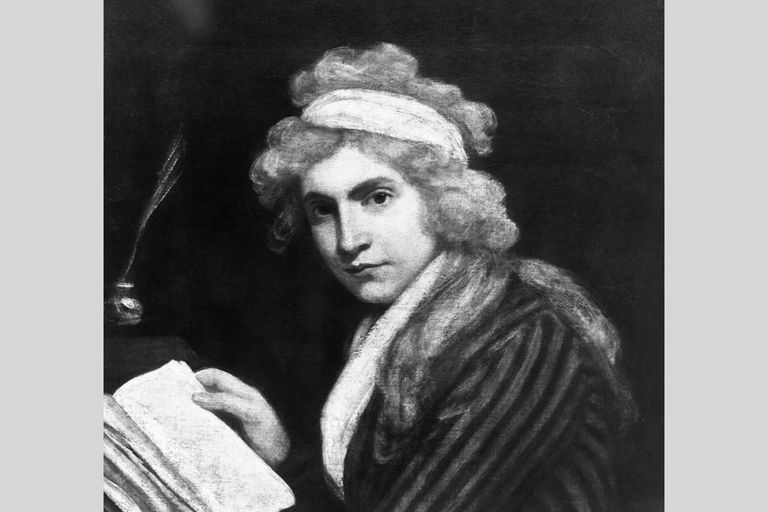 Mary Wollstonecraft recognized that women are sexual beings. But, she pointed out, so are men. That means the female chastity and fidelity necessary for a stable marriage require male chastity and fidelity too. Men are required as much as women to put duty over sexual pleasure. Perhaps Wollstonecraft's experience with Gilbert Imlay, father of her eldest daughter, clarified this point for her, as he was not able to live up to this standard. Mary Wollstonecraft found that women's absorption in pursuits related to fashion and beauty undermined their reason, making them less able to maintain their role in the marriage partnership. She also thought it reduced their effectiveness as educators of children. By bringing together feeling and thought, rather than separating them and dividing them along gender lines, Wollstonecraft was also providing a critique of Jean-Jacques Rousseau, a philosopher who defended personal rights but did not believe in individual liberty for women. He believed a woman was incapable of reason, and only a man could be trusted to exercise thought and logic. Ultimately, this meant women could not be citizens, only men. Rousseau's vision doomed women to a separate and inferior sphere. Wollstonecraft made clear in her book that she believed women had the capacity to be equal partners to their husbands, and in society. A century after she advocated for women's rights, women enjoyed greater access to education, affording them more opportunities in life. Reading "A Vindication of the Rights of Woman" today, most readers are struck with how relevant some parts are, while others read as archaic. This reflects the enormous changes in the value society places on women's reason today, as compared to the 18th century. However, it also reflects the many ways in which issues of gender equality remain.